Will Sinarmas continue its uptrend? Sinarmas Land has been down for past 2 week, currently it is trading near the support level. 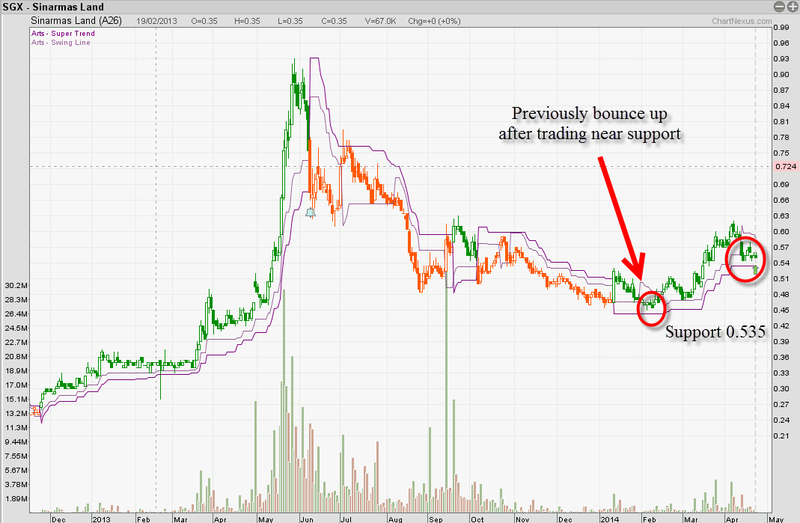 Support at 0.535, if this stock should continue its uptrend, we should see a bounce off this level. If it doesnt, a break of 0.535 will tell us the trend change. Pacific Radiance to continue uptrend?